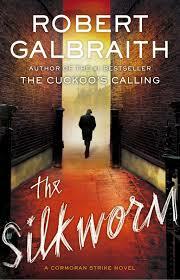 The Silkworm was the first Cormoran Strike novel according to Rowling but appears second because the hero needed a big case that would propel him into the public eye in spectacular fashion; solving the death of a novelist whom few knew was still alive wouldn’t cut it. 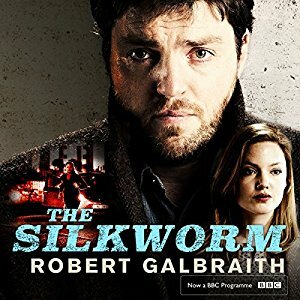 Having said that, as the point of origin and the Strike novel about novel writing and the reading of novels, The Silkworm is what Rowling is all about in her Galbraith series. But why watch the adaptations for the BBC? Shouldn’t we confine our reading to the book about reading rather than than waste time watching the small screen fare meant to entice non-readers to pick up the books? Believe me, I’m all for another reading of The Silkworm or to listening again to Robert Glenister’s brilliant recorded version. The BBC adaptations, though, are done by Bronte Studios, Rowling’s production company. As we saw yesterday in Louise Freeman’s discussion of the Career of Evil adaptation for the BBC, there were the usual absurd cuts to the story for the sake of abridgment but there were also novel add-ons, Brittany Brockbank in a commune most notably, that are important pointers to important events to come in the written stories. So have another look at the BBC version a la Bronte Studios of The Silkworm. Is there a scene in there, say, about the IED explosion that all but killed Cormoran Strike, a scene which tells us something we have not been told in the written version? Check it out while the adaptations are still up for free on YouTube — and let me know what you think! I didn’t see anything that jumped out as me as a clue to future stories in this one, though there was a very interesting poster of white horses on what I presume was Robin’s bedroom wall in her parents’ home in Masham. The outstanding performers in this production were Monica Dolan as Leonora and Sarah Gordy as Orlando.